Scottish football is to investigate the introduction of video assistant referee technology (VAR) following a summit between officials and top-flight managers. SFA chief executive Ian Maxwell and head of refereeing John Fleming chaired the meeting at McDiarmid Park, Perth which was attended by all Premiership bosses, except Hamilton’s Martin Canning and Steve Clarke of Kilmarnock. It came in the wake of a series of high-profile clashes between whistlers and managers this season. “The referees felt it would be a great help for them and the managers also want it introduced in some form. 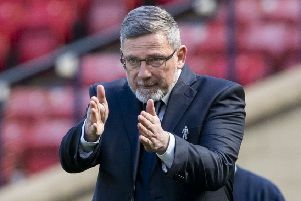 SFA chief Maxwell insisted Scottish clubs could afford to introduce VAR technology. He said: “It was a really good, positive meeting and everyone engaged in it. “There is a real appetite to fully investigate VAR, the managers see the benefits of it.